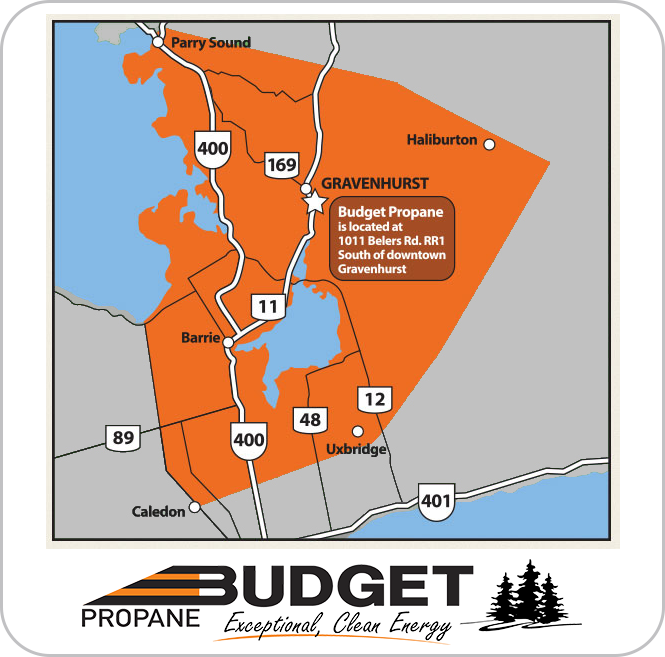 You can count on Budget Propane to provide quality products and services to homes, cottages and businesses across the central Ontario region. Our goal is to continually exceed your customer service expectations by providing exceptional propane service at economical prices - whether you're switching to propane, requesting a delivery, or learning more about the benefits of propane as an alternative energy source, we are committed to making sure you receive the best customer service experience possible! We install propane service, safely, in any home or cottage. Choose from green or white tanks. We have torpedo style and upright tanks to fit your location. Ask us about our delivery options and easy payment plans. The Budget Propane team works together seamlessly to provide exceptional customer service, whenever you need it. From sales inquiries, to deliveries, refills and accounting, our customer care team is here for you. Our leading edge initiatives such as the Smart Tank Monitoring system and on-board truck system are just two of many effective customer service initiatives implemented at Budget Propane Ontario. With more than 26 years of experience in the propane industry, Budget Propane has what it takes to continually exceed your expectations. Susan and I wanted to say thank you for the fantastic service we have received from Budget Propane. Quinton and Mike were very polite, courteous, professional and efficient. It is a pleasure to see that there are still trades people that are meticulous about their trade, know exactly what they are doing and work very well as a team. We are very pleased with all staff interactions that we have had and will continue to highly recommend Budget Propane. I am a new customer with your company and would like to say that I couldn't have made a better choice judging by my experience thus far. Everyone that I have dealt with either personally or by phone has been exceptional at providing great service. I would like to especially thank Shawn and Mitch because not only were they very personable, but they took the time to explain the operations of a propane system so that I may have the knowledge to trouble shoot common if rare problems. I look forward to a great relationship! I wish to thank you for you prompt service and the driver that did our delivery this evening. The driver who I have met before was great courteous and friendly. Also your office staff was wonderful. Simply thank you so much.